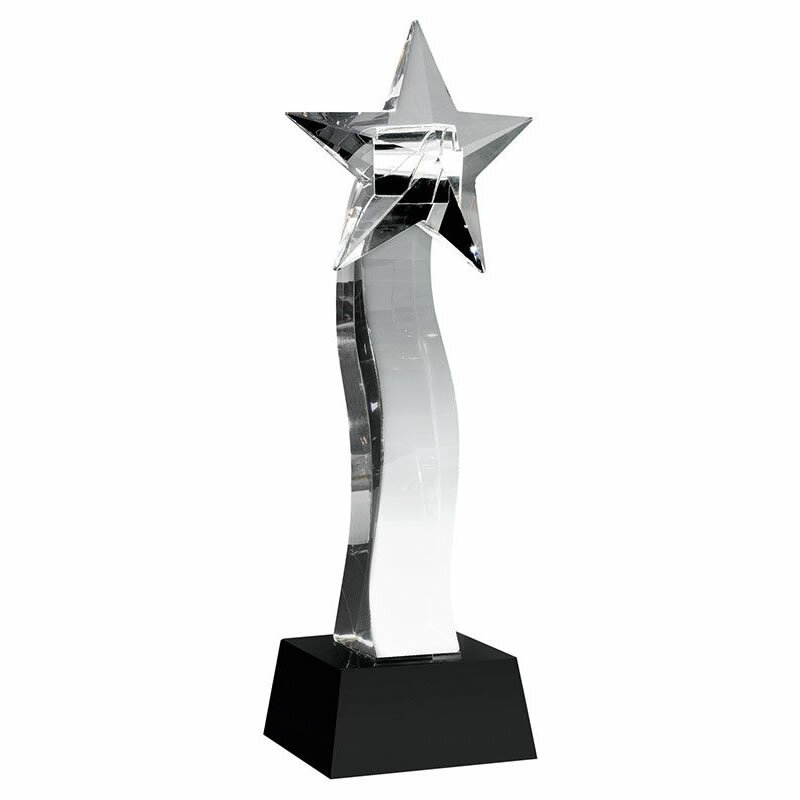 A stunning modern glass star award, finely crafted in flawless optical crystal. These 10in tall awards feature a multifaceted clear glass star set on a wavy glass column and mounted on a bevelled black glass base. They can be engraved on the black glass base. 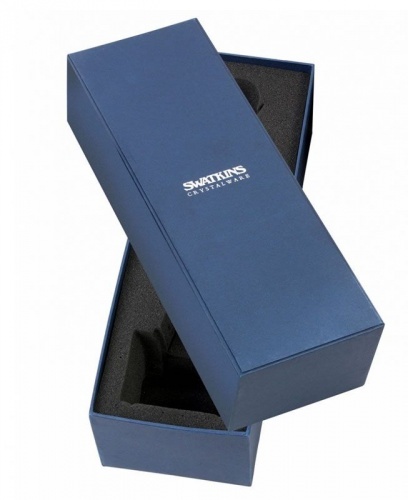 These crystal star trophies are supplied in a fitted foam-lined presentation box.